H.E. 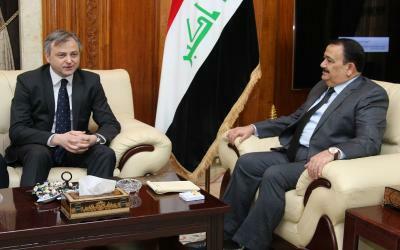 Uroš Balov, Serbian Ambassador to Iraq met with the Minister of Defence, Mr Irfan Mahmoud Al-Hayali, on the 25th September. They have discussed the bilateral relations between the two countries during the meeting, especially military cooperation and ways of its further development. Both sides affirmed the depth of the historical relationship between the two countries in all fields.